Antioch City Council members, representatives from the Antioch Chamber of Commerce, friends and family joined the owners and staff of the new Southern Cafe in downtown Antioch for their Grand Opening and Ribbon Cutting Ceremony, Friday, January 29th, 2016. 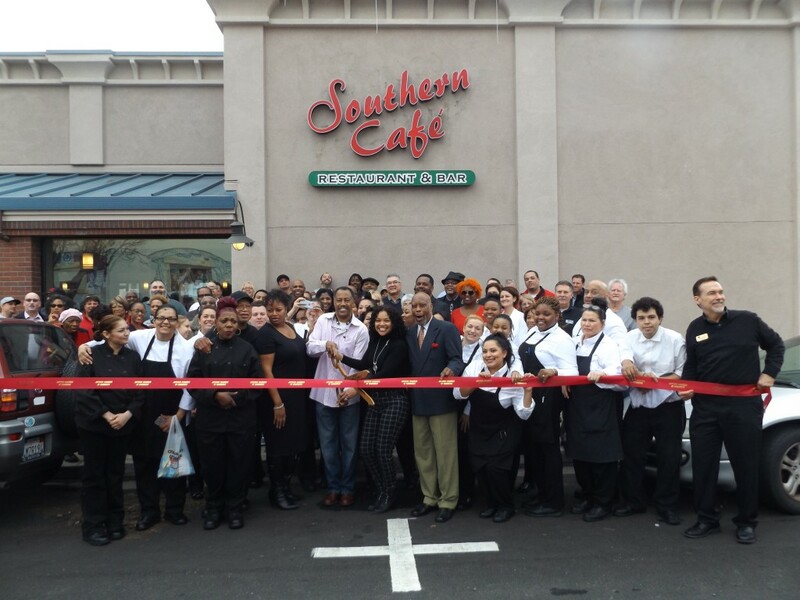 Owners of Southern Café restaurant held the Grand Opening and ribbon cutting of their second location, in downtown Antioch, Friday, where the former Bases Loaded was located at 400 G Street. Offering a Taste of the South, they invited community leaders and friends to sample and rate their food, during a VIP event on Saturday, January 9th, then held a special pre-opening party for friends and family on Saturday, January 16th, and a “soft opening” on Wednesday, January 20th, just serving dinner. They are now open for both lunch and dinner. “We want to thank you all for being here, tonight and to the Chamber of Commerce. 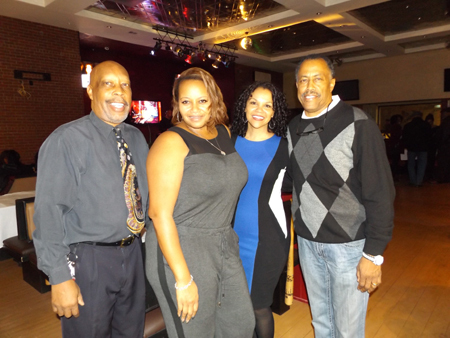 Because we do know without you this would not be possible,” said General Manager Leonard Collins at the VIP event. 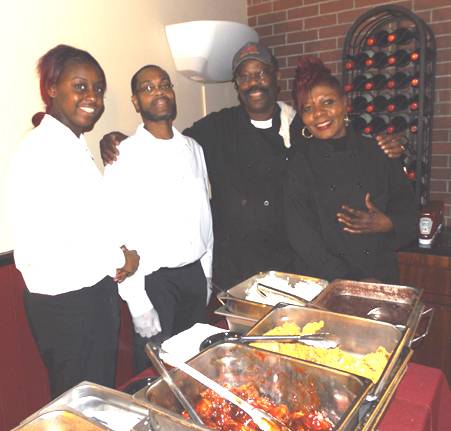 The Core Four ownership and management team of Southern Cafe – Leonard Collins, Atallah Hill, and Courtney and Phillip Bell. He then introduced his partners. “This has been a nice little journey,” Phillip Bell shared. “We started off I’m going to say in August. We were looking for another place to expand out of our location in Oakland. I gotta give a shout-out to Jack (Monroe of the Antioch Chamber of Commerce). This was the very first person when I met when I was peaking in the window. He pulled over and he’s been very helpful. Their other location is at 2000 MacArthur Blvd in Oakland. 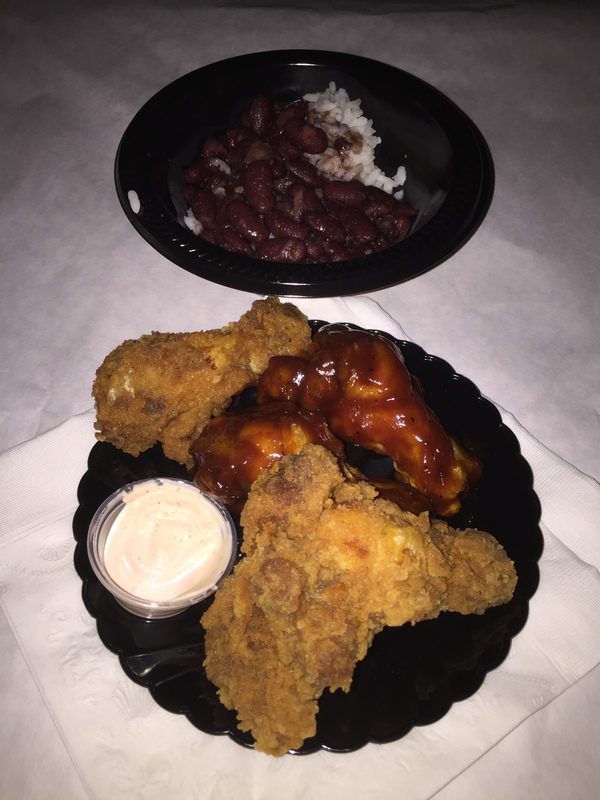 Red beans and rice, plus fried chicken and barbeque chicken wings are just some of their menu items. Their food includes southern fried and baked chicken, as well as wings, turkey meatloaf and wings, short ribs, oxtails, beef meatloaf, breaded pork chops, chitterlings, seafood, including catfish, red snapper, prawns and blackened salmon, fried oysters, as well as salads, collard greens, cabbage, macaroni and cheese, red beans, rice, black eyed peas and yams. Southern Cafe also offers desserts including sweet potato pie, peach cobbler and banana pudding. During the Ribbon Cutting Ceremony, attended by all five council members and representatives of the Antioch Chamber of Commerce, a few speeches and expressions of gratitude were offered. Phillip Bell then introduced the Core Four ownership and management team and offer his appreciation to those who supported their efforts to locate in Antioch. Servers and Chefs Red and Dee, during the special pre-opening party on Saturday, January 16th. He then spoke about Collins, who he calls “Petey”. He spoke of the founder of Southern Café and said “Her daughter, Dee is here.” She is one of the chefs. “The chefs are responsible for all the good food you’ll be enjoying from now on,” Bell said. “Also, thank you to Allen Payton for his articles in the Herald,” he added. Then he thanked Antioch resident and former downtown business owner, Kym Kelley for welcoming them. “Kym jumped out of her car and introduced herself,” Collins continued. Southern Café is open Wed.-Sat. 11 a.m. to 9 p.m. and Sundays from 1-8 p.m. when they feature an All-You-Can-Eat Buffet and Live Jazz from 5-8 p.m. Call them at 754-1172 for reservations and visit them online at www.southerncafe2000.com. This entry was posted on Saturday, January 30th, 2016 at 2:04 pm and is filed under Dining. You can follow any responses to this entry through the RSS 2.0 feed. You can leave a response, or trackback from your own site.